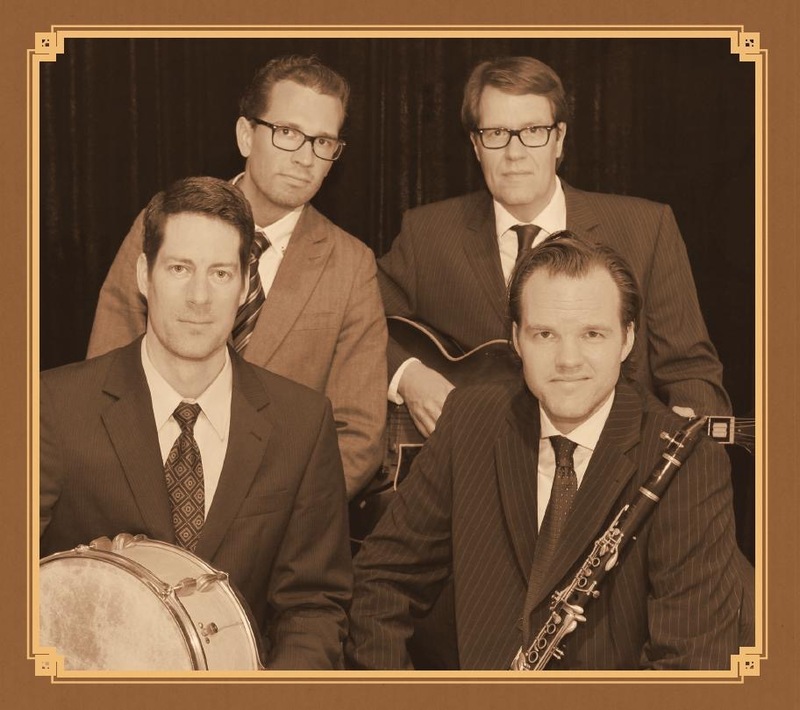 Shreveport Rhythm, founded in 2008, is highly acclaimed by fans, press and media as Hamburg’s best Hot Jazz and Swing quartet. The four musicians quickly developed their own fresh and entertaining style loved by a steadily growing number of fans. The music covers the best from Hot Jazz of the 1920ies up to Swing of the 30ies and 40ies as well as some Jive classics. What really sets Shreveport Rhythm apart from many other Jazz bands is that – once on stage – the four musicians always unleash an enthusiastic atmosphere shared by both the audience and the band. Due to the musicians’ young age Shreveport Rhythm successfully appeals also to the younger generation of live music listeners. The right recipe found in this group reflects the diverse experiences all musicians have gained during the last decades with several others bands performing at countless international festivals and jazz clubs all over Europe and the USA, e.g. in New York and New Orleans. 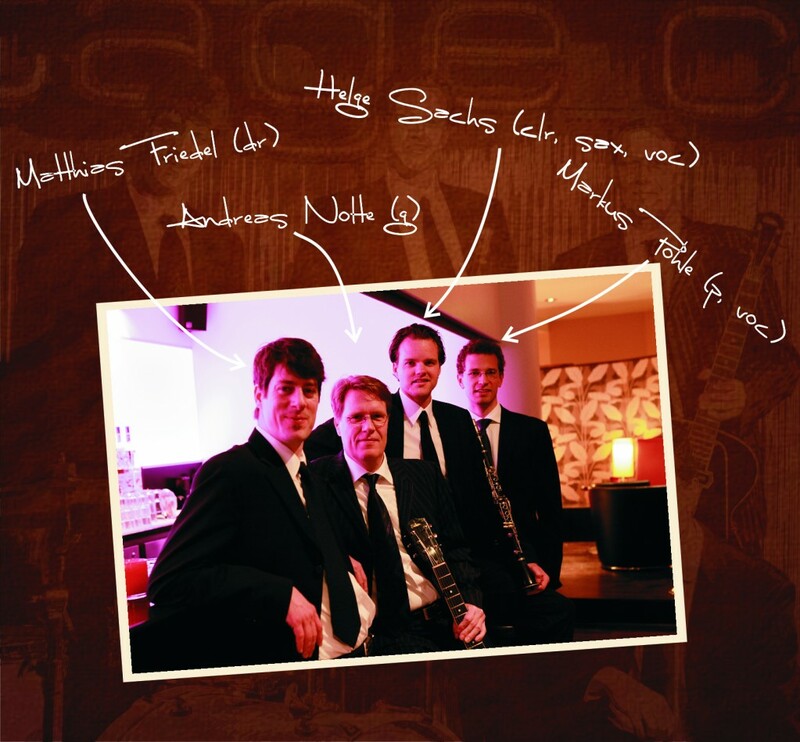 Helge Sachs, clarinet, saxophones and vocals. He was inspired by the music of Johnny Dodds, Sidney Bechet, Omer Simeon, Jimmie Noone, Benny Goodman, Barney Bigard, Coleman Hawkins and many others. Markus Pohle is considered to be one of the most experienced stride pianists of his age. Among his examples are Teddy Wilson, Jelly Roll Morton and Fats Waller. He is also a vocalist enthusing the audience when he sings in the style of Louis Prima. Andreas Nolte plays the rhythm and solo guitar. His style was inspired by such guitar players like Charlie Christian, Freddie Green, T-Bone Walker and Tiny Grimes.